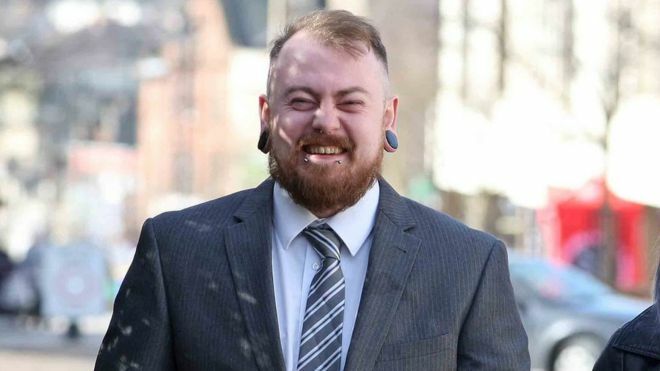 Mark Meechan has been convicted of a criminal offence by a Scottish Court, following a video he made involving his girlfriend’s pet pug, see here. The video showed the pug performing Roman salutes to images of an NSDAP rally filmed at the 1936 Olympic Games. The pug responded to Meechan’s statements such as “Sieg Heil” and “gas the Jews”. Meechan stated that he trained the pug and made the video to annoy his girlfriend; his girlfriend was said to have fawned over the dog and he wanted to make it appear evil, as a joke. The reporting on the detail of the case leaves a lot to be desired, but it appears that Meechan was convicted under section 127 of the Communications Act 2003, which was the lesser of one of two charges (it appears that the other charge was inciting racial or religious hatred under the Public Order Act 1986 as amended). Section 127 applies in Scotland and prohibits the sending of messages that are obscene, indecent, menacing or grossly offensive. This section, particularly the words “grossly offensive” is so vague, that Mr Meechan’s video may have been caught by it, even if the Court accepted Meechan’s explanation for making the video. However, Sheriff O’Carroll told the Court that he did not believe Mr Meechan’s explanation (i.e. an attempt to annoy his girlfriend) for making the video; he believed that Mr Meechan left the video on his YouTube channel to drive traffic to other material contained on the channel. This does not address the question of whether or not, the video was a joke or a serious expression of anti-Semitism. No doubt if the prosecution believed that Meechan’s background suggested the latter, they would have adduced evidence of this. The fact that a dog was involved and all of the other circumstances, suggest that the video was indeed a joke. Even if the video was a serious expression of hatred towards Jews, should this be a criminal offence where there is no incitement of others to commit violence? For my views on this question and on ‘hate speech’ laws see here. If you believe that hate speech laws constitute an unacceptable encroachment on free speech, there is a Petition, here, calling for their repeal.